Once upon a time, India was famously known as the golden sparrow. This was on account of the country’s immense wealth and glory. India was brimming with good quality spices, the finest cloth and more gold than you could count! However, all of this vanished when other forces invaded the country and stole all of our wealth. But, India emerged like a phoenix from the ashes. In spite of these troubles, our country still has a good deal of wealth and today, it chooses to invest that wealth wisely. One of those mediums is the luxury train. From The Deccan Odyssey to Royal Rajasthan On Wheels, the country has some wonderful luxury trains that it can boast of. If you’re a couple and are wondering where to go to on your next holiday, we believe we have the ideal solution for you. Get on board one of these 5 listed luxury trains and prepare for the experience of a lifetime. You will be treated like true royals and will return with smiling faces and happy hearts. So go ahead! Keep scrolling to discover the 5 Indian luxury trains that you must travel in with your partner, at least once! This particular train has been deemed as one of the 5 most luxurious trains in the world! Apart from beautiful cabins and rooms, the train is also equipped with well-stocked bars, butler services and top professionals waiting to cater to your every whim and fancy. The services are available from October to April. You can choose from the 5 different route options provided. The Heritage of India route which covers Mumbai – Ajanta – Udaipur – Jodhpur – Bikaner – Jaipur – Ranthambore – Agra – Delhi. Gems of India route which covers Delhi – Agra – Ranthambore – Jaipur – Delhi. The Indian Panorama route which covers Delhi – Jaipur – Ranthambore – Fatehpur – Sikri – Agra – Gwalior – Orchha – Khajuraho – Varanasi – Lucknow – Delhi. The Treasures of India route which covers Delhi – Agra – Ranthambore – Jaipur – Delhi. Approximate rate per person: Between INR 2- 4 lakhs. To explore the best of the Land of the Royals, opt for the Royal Rajasthan On Wheels. Covering routes such as Jodhpur, Udaipur, Chittorgarh, Sawai Madhopur, Jaipur, Khajuraho, Varanasi and Agra, it makes for a supreme, quality experience that you’re unlikely to forget. You will get to visit top attractions such as the Taj Mahal, City Palace, Hawa Mahal, the Khajuraho temples and more. 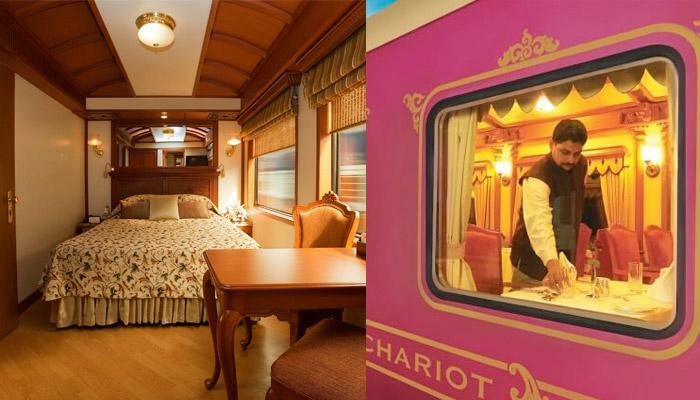 The train comprises of 14 luxury cabins which are designed to resemble royal palaces. It also offers multi-cuisine restaurants, spa services and bars. Talk about being treated like a royal! Approximate rate per person: INR 4 lakhs + taxes. Maharashtra Splendour which covers Mumbai – Nasik – Ellora Cave – Ajanta Caves – Kolhapur – Goa – Ratnagiri – Mumbai. Indian Odyssey which covers Delhi – Sawai Madhopur – Agra – Jaipur – Udaipur – Vadodara – Ellora Caves – Mumbai. Hidden Treasures of Gujarat which covers Mumbai – Vadodara – Palitana – Sasan Gir – Somnath – Little Rann of Kutch – Modhera – Patan – Nashik – Mumbai. Indian Soujourn which covers Mumbai – Vadodara – Udaipur – Jodhpur – Agra – Sawai Madhopur – Jaipur – Delhi. Maharashtra Wild Trail which covers Mumbai – Aurangabad – Ramtek – Tadoba – Ajanta – Nashik – Mumbai. Approximate rate per person: INR 3 lakhs + taxes. If you want to opt for a short journey but also want to travel in style, book the Fairy Queen Express. It is one of India’s oldest luxury trains and works on the oldest steam locomotive, which was built long, long ago, in 1855! 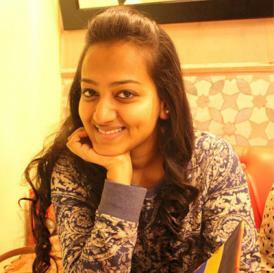 Its interiors are charming and it takes you to all of 2 destinations – Alwar and Sariska. The Fairy Queen Express is operational from October to March and runs on the second and fourth Saturdays of the month. The duration is only one night and two days, so this is ideal for a short stay with your partner. Approximate rate per person: INR 8,600 + taxes. Southern Splendour which covers Bangalore – Chennai – Mahabalipuram – Pondicherry – Thanjavur – Madurai – Thiruvananthapuram – Alleppey – Kochi – Bangalore. There you go folks! We think you should hurry up and start packing. Travelling aboard any of these luxury trains is sure to give you and your beau some beautiful quality time and loads of fond memories.